I'm here to show you what I have been up to these past few weeks. I'm getting ready for my Fall units and I am VERY excited about them! warm sweaters, and pumpkins everywhere. 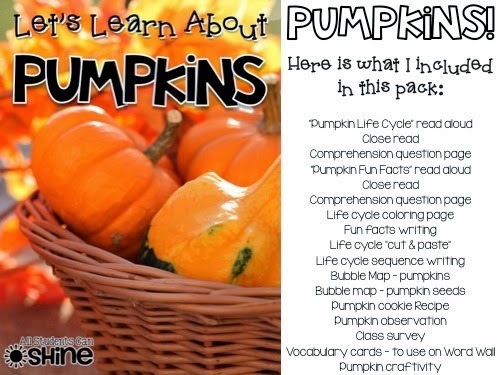 I'm starting with pumpkins this week! 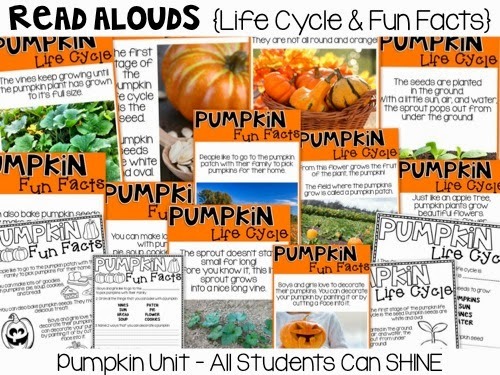 I created 2 read alouds for my class, one for the pumpkin life cycle and one for fun pumpkin facts. I plan to use these on the first day, to introduce the topic to my class. I use the text from my read alouds to make close reads. Each comes with a comprehension page, which we will work on together. My class is still in the beginning stages of reading. 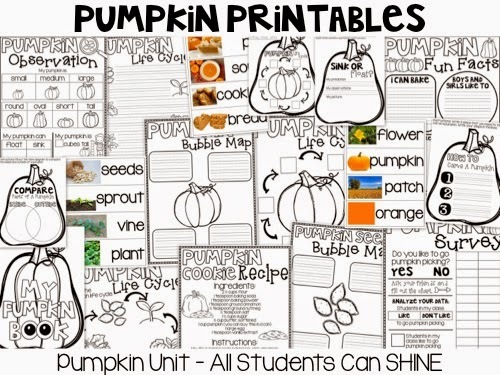 I also created a bunch of fun printables to use during our pumpkin week. From KWL and "Have, Feel, Look" charts, I will have plenty to choose from for my little learners! Finally, I made a pumpkin flip book craftivity! 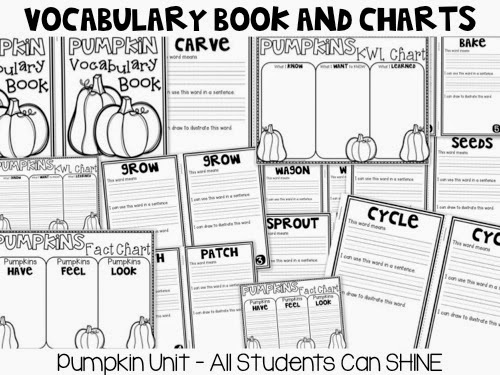 You can find my pumpkins unit HERE. 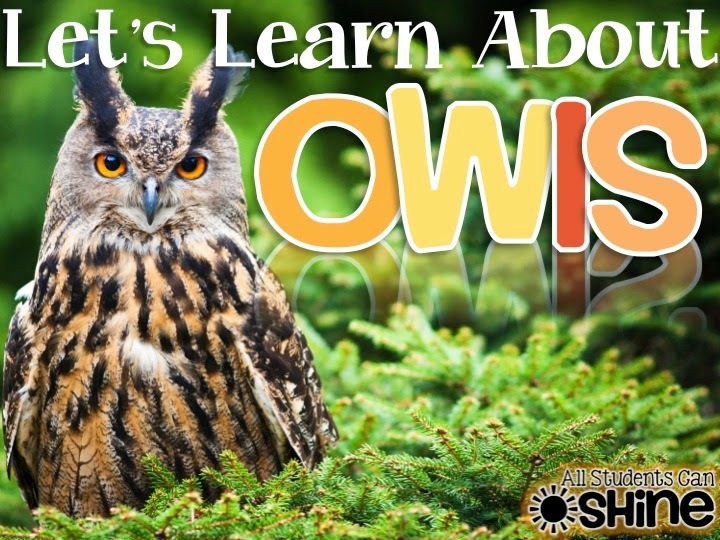 Once we are done with our pumpkin unit, we will be working on OWLS! I can't wait! !